Stocks gained yesterday, but they reversed their intraday upward course again. 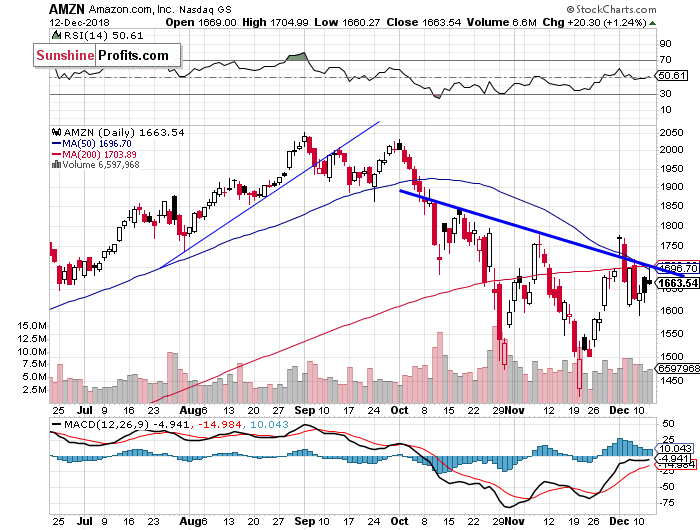 So, is this a new uptrend or just another advance within a two-month-long consolidation? The U.S. stock market indexes gained 0.5-1.0% on Wednesday, extending their short-term uptrend, as investors' sentiment remained slightly bullish after the Monday's rebound off the new medium-term low of 2,583.23. The S&P 500 index traded 12.2% below September the 21st record high of 2,940.91. It is currently 9.8% below the all-time high. 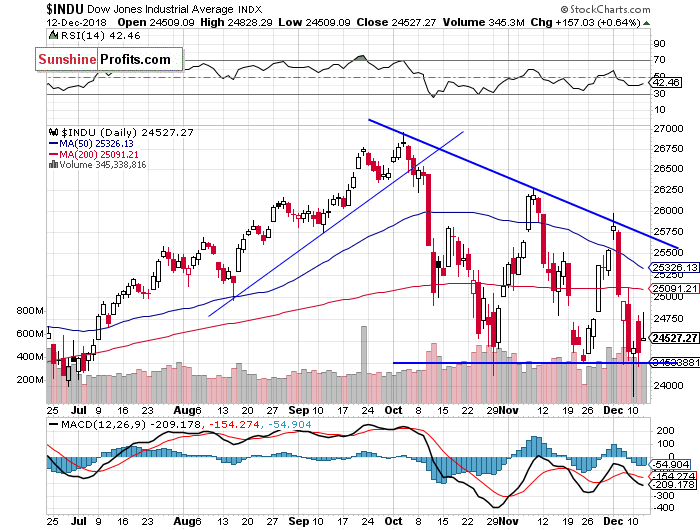 The Dow Jones Industrial Average gained 0.6% and the Nasdaq Composite gained 1.0% on Wednesday. The nearest important level of resistance of the S&P 500 index is at around 2,675-2,685, marked by some recent fluctuations. The resistance level is also at 2,695-2,700, marked by last Thursday's daily gap down of 2,696.15-2,697.18. On the other hand, the support level is now at 2,630-2,650. 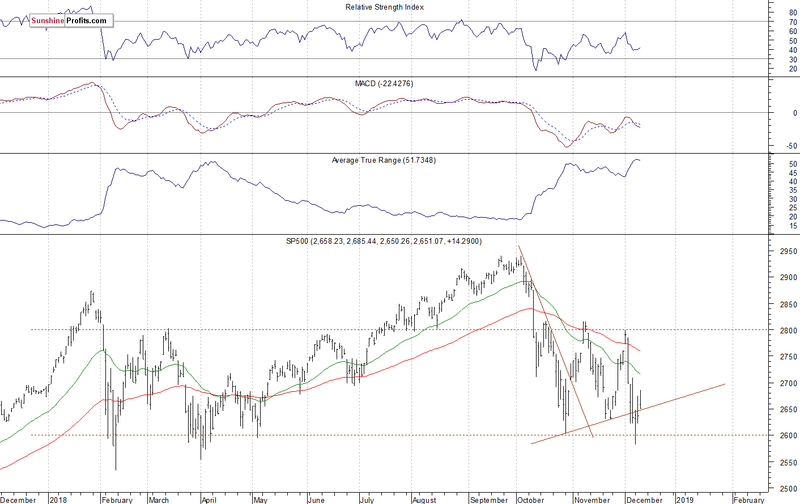 The level of support is also at 2,580-2,600, marked by the medium-term local lows. The index futures contracts trade between -0.3% and +0.1% vs. their yesterday's closing prices. So expectations before the opening of today's trading session are slightly negative to virtually flat. The main European stock market indexes have been mixed so far. Investors will now wait for some economic data announcements: the ECB Rate Decision at 7:45 a.m., Initial Claims at 8:30 a.m. The broad stock market will likely continue to fluctuate following its Monday's rebound. 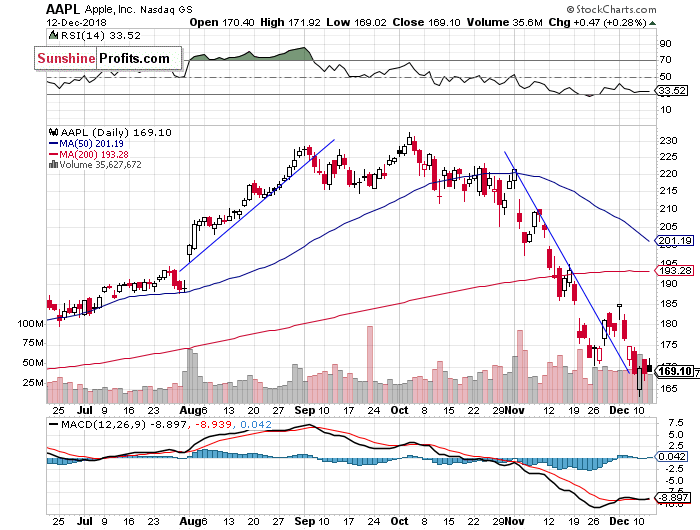 We may see another attempt at breaking above the short-term resistance levels. It still looks like a volatile medium-term consolidation following the October decline despite Monday's sell-off below 2,600 mark. The S&P 500 index fell the lowest since the early April on Monday following last week's failed rally to 2,800 mark. 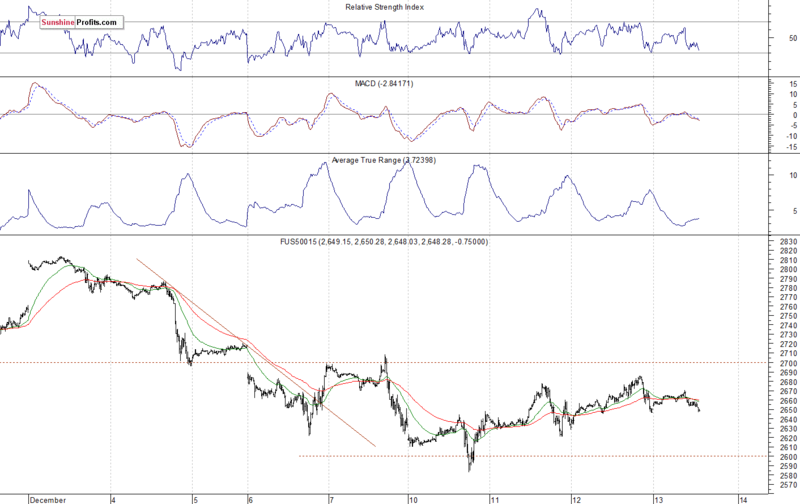 It reversed its intraday downward course after bouncing off the support level of around 2,580-2,600. Will it continue higher? Or was it just an upward correction before another leg lower and a real breakdown below the medium-term local lows? There have been no confirmed positive signals so far. 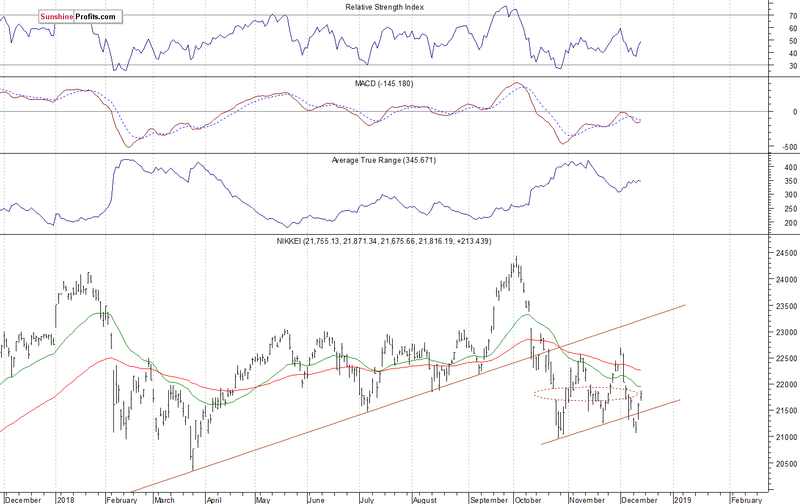 The broad stock market continues to trade within its two-month-long consolidation. Concluding, the S&P 500 index will likely open slightly negative to virtually flat today. 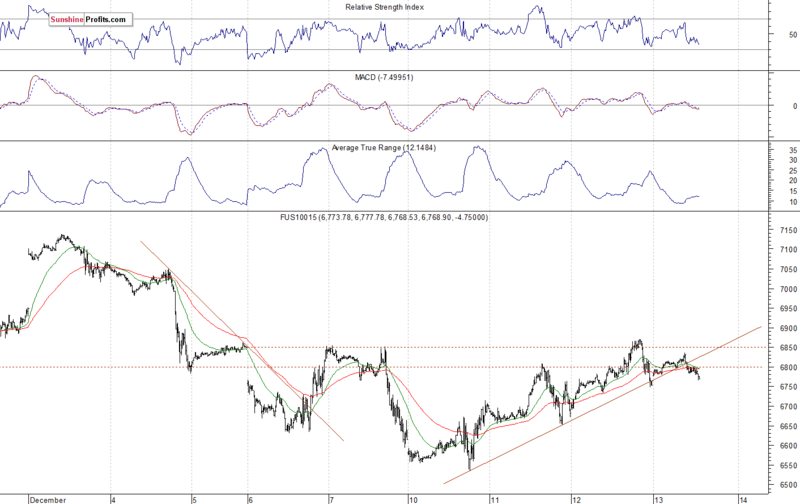 We may see more short-term volatility, as the market gets closer to its recent local highs.